The founders of the United Nations of Atocha recreate the ¡Extran Hero! chalk mural that has been displayed at J and J Books and Coffee in Madrid for the past five years! ¡Los fundadores de las Naciones Unidas de Atocha recrean el mural de tiza ¡Extran Hero! que se exhibió en J and J Books and Coffee en Madrid durante los últimos cinco años! It’s been five years. The world has changed and I have changed. I’ve experienced immense joys and life milestones as well as pain and loss. But in these years my desire to return to Madrid has remained. And now I am going back. It’s time for Extran Hero to return. Time to embrace this life and its infinite possibilities. Time to have courage. And time to have a fantastic trip. ¡Hasta pronto, España! 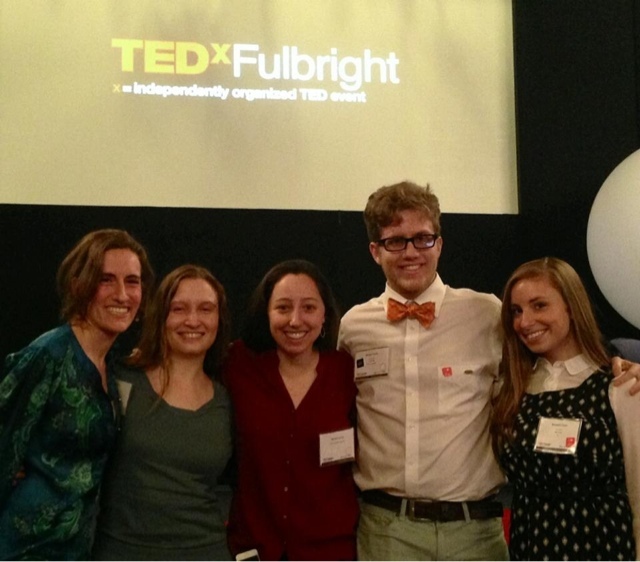 TEDxFulbright 2014 in Washington, D.C.
¡Extran Hero! 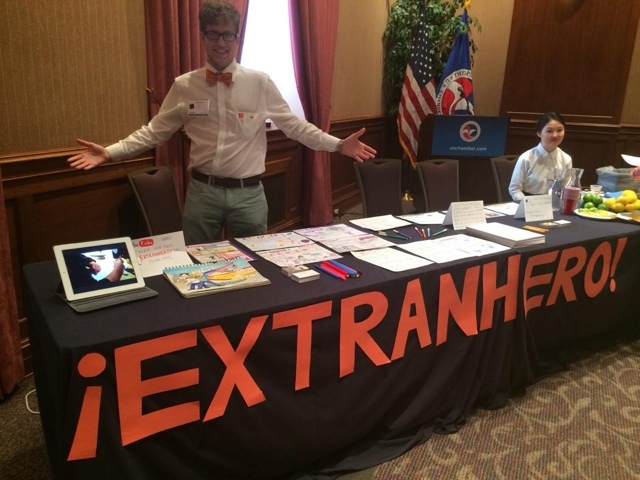 makes an appearance at the Innovation Lab of TEDxFulbright at the U.S. Chamber of Commerce in Washington, D.C. This was a great event of reconnecting with fellow Fulbrighters in Madrid, Spain from 2011-2013, as well as making new friends, exchanging ideas, and exploring a new city. I’m already looking forward to next year’s event!